The RGR4 Height Rescue System is a simple yet very effective method of reaching a person who has experienced a fall and is in need of quick recovery. The operating handle is very easy to use and ensures controlled descent. The handle also has a reverse locking mechanism to prevent accidental rapid descent. The rescuer is able to latch onto the person that requires a rescue and both persons are able to descend safely and efficiently to an area of safety. 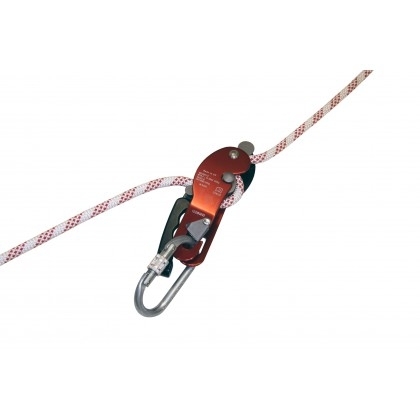 The kernmantel rope is stocked in 20,30 & 60mtr lengths.